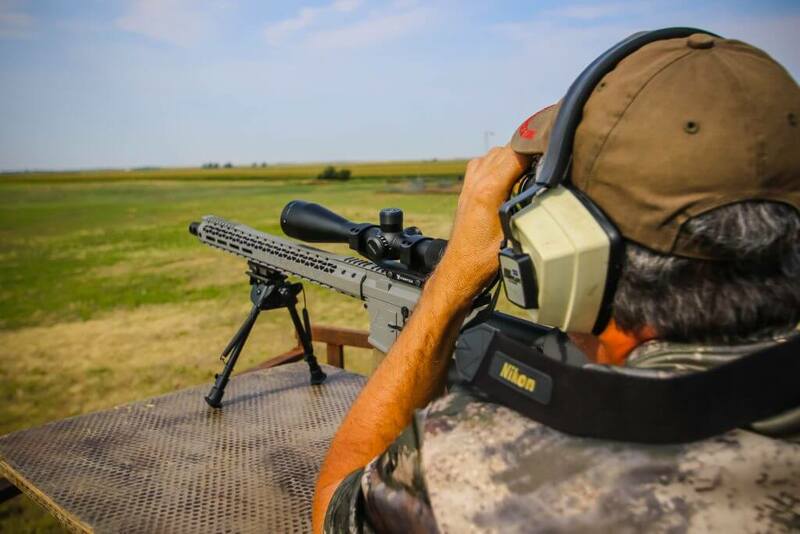 Kansas prairie dog hunting with 10 Gauge Outfitters. 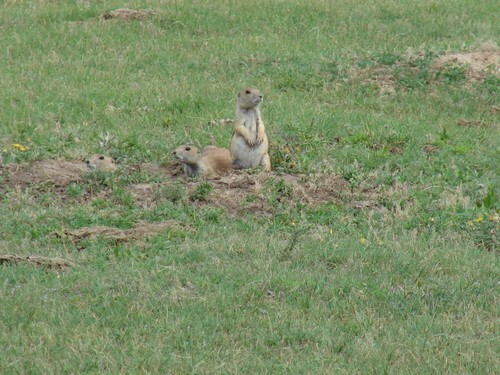 We have access thousands of acres of prairie dog towns located less than 30 minutes from our lodging facilities. 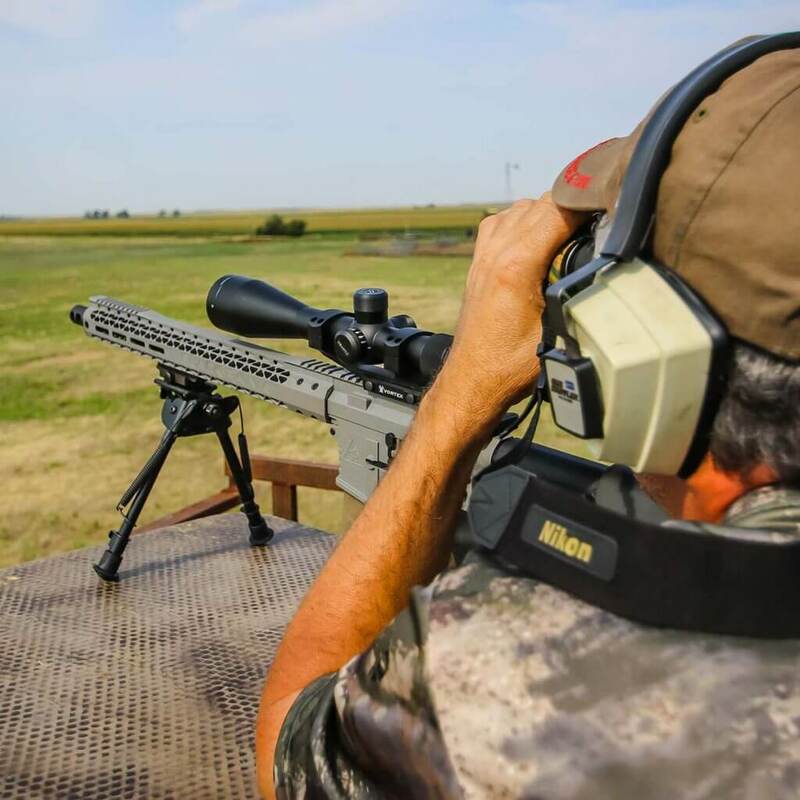 The avid sportsman can hone their hunting skills with a mid summer Prairie dog shoot. 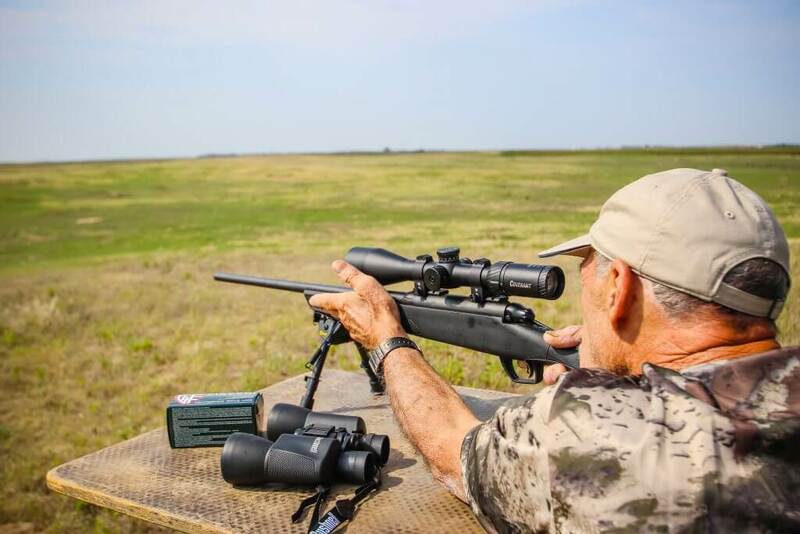 Perfect for practicing your long range shooting, prairie dog hunting allows you to shoot at different distances as often as you like. The farther out you shoot, the less likely the dogs are to know what’s going on, so they will stand there and let you shoot at them until you hit them or get too close for comfort! 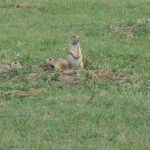 Prairie dogs offer sportsmen countless hours of entertainment. Generally a Prairie Dog town will hold a mixed bag of targets, rabbits, badgers and rattle snakes and of course Prairie Dogs. Early May thru September are the prime shooting months. 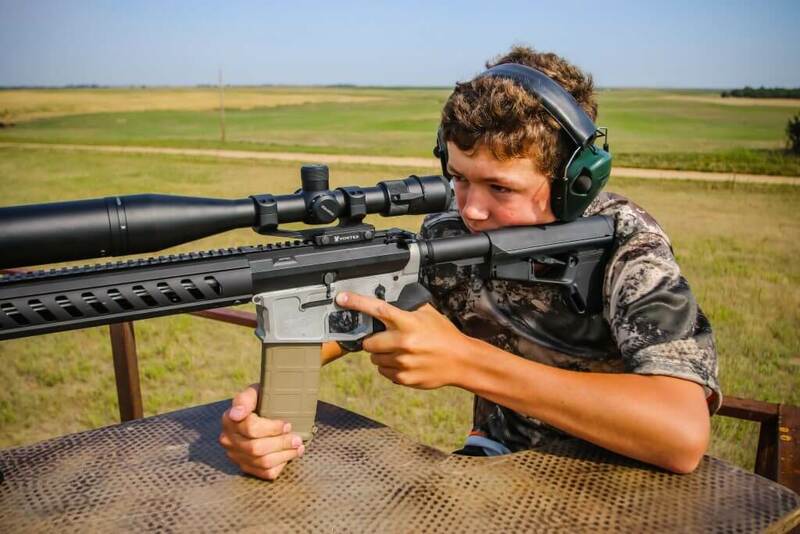 Prairie dog shooting is also a great family adventure because most schools are out during prime PD shooting months. Prairie dogs live on prairies made up of sandy loam soil covered with short grass. This type of soil allows for easy burrowing and provides a diet rich in greens. These burrowing rodents are native to Kansas. In fact, they were discovered as early as 1774 and even mentioned by Lewis and Clark. Prairie dogs generally co-exist with cattle in prairie grass less than 10-12 inches tall. You can find prairie dogs in rolling hills or on flat terrain. Prairie terrain does not seem to have much effect on the choice of prairie dogs. In Kansas, water sources are not that critical due to the fact that the greens prairie dogs eat, provide them with water. 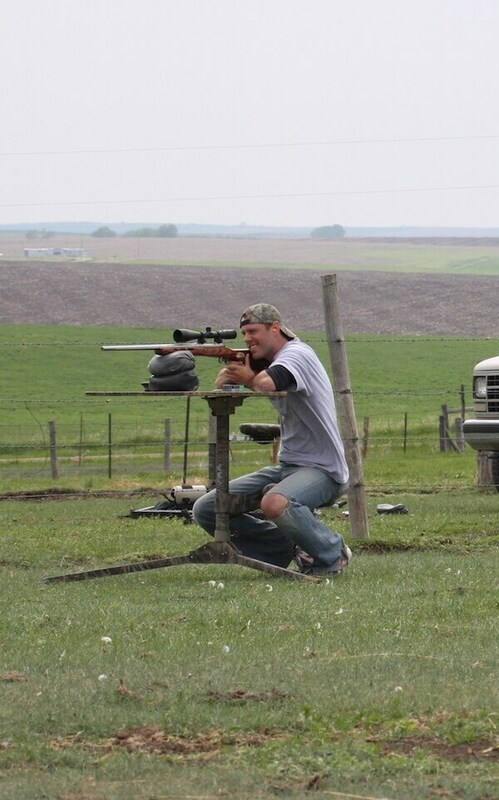 The 22-250 caliber is probably the flattest shooting and least effected by wind drift than the small calibers. The .223 is probably the most used caliber for hunting prairie dogs because it has good velocity and medium wind drift characteristics. The .223 is also the easiest to find and cheaper than the 22-250 and .204 per round typically. 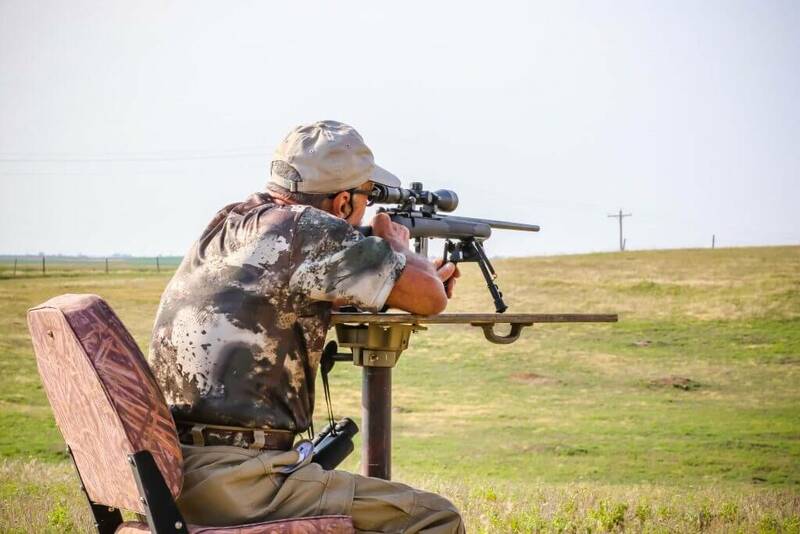 The Ruger.204 is the smallest round recommended for prairie dog hunts in Kansas. This is due to winds typically ranging between 10-12 mph in Kansas. 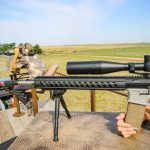 Bolt-action rifles are going to be the most accurate and AR platform are going to allow you to put the most lead in the air. One can use Semi auto AR style rifles or bolt action rifles. Cartridges vary but for the most part one needs as flat shooting rifle as possible 204 Ruger, 223, 22-250 are probably the most common. 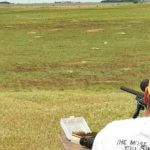 Prairie dog shooting will generally allow the shooter to shoot at distances from 100 yards out to and past 1000 yards. 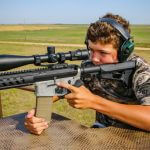 Kansas will allow the shooter to take it to the next level and put silencers on their varmint-hunting weapon. 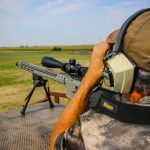 You will still need all of the federal permits to purchase and install a silencer on your rifle. 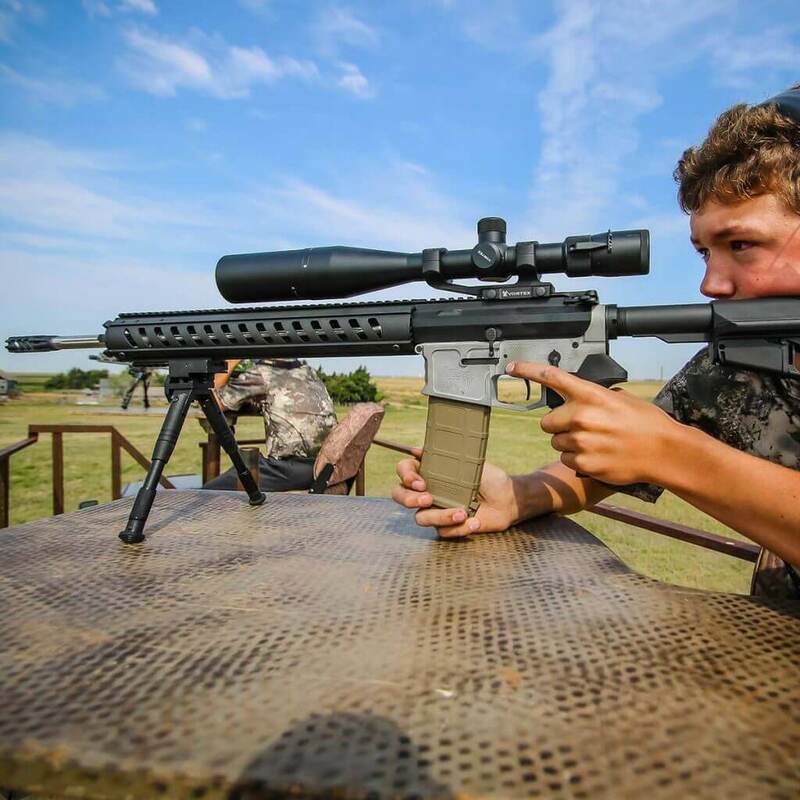 Most modern day varmint rifles will out perform the shooting abilities of the shooter. 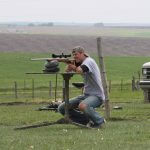 That being said, do not be surprised if you see someone shooting prairie dogs with a 50cal. Barrett. 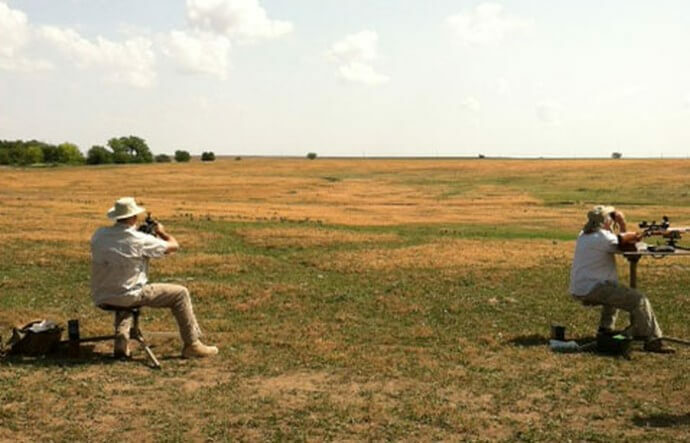 When it comes to shooting prairie dogs, quality optics are essential. 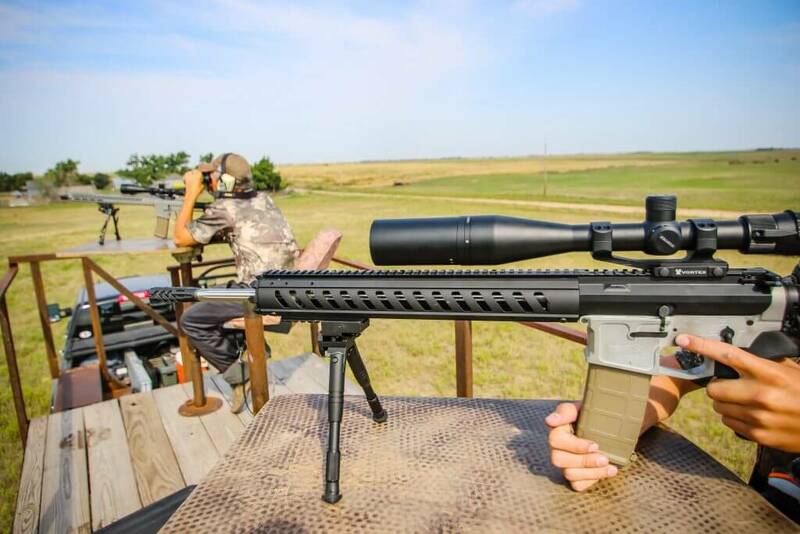 Having a powerful clear scope with a reticle that adjusts for yardage and wind age is a must. We recommend at least a 6x24x50 power scope. 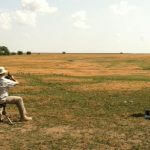 Prairie Dog Hunts are conducted primarily during the months of May, June, July. The pups are born in April and we begin hunting in May. 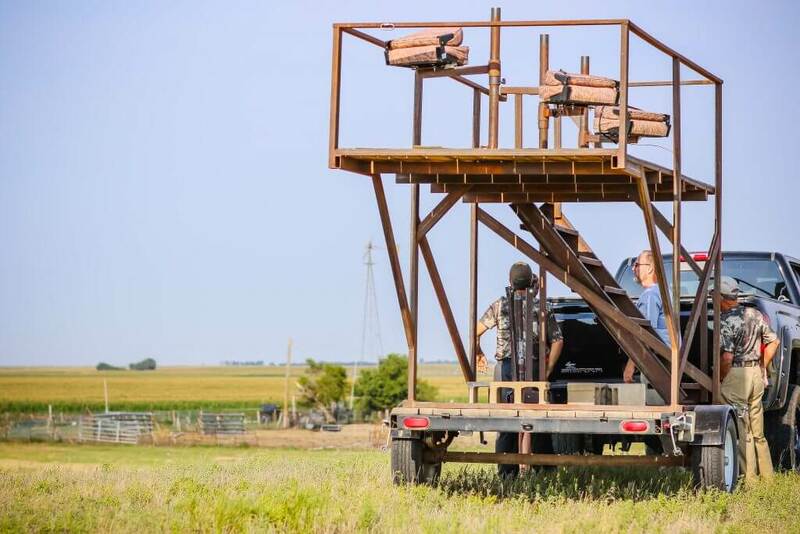 The hunt is conducted on several large Kansas ranches. 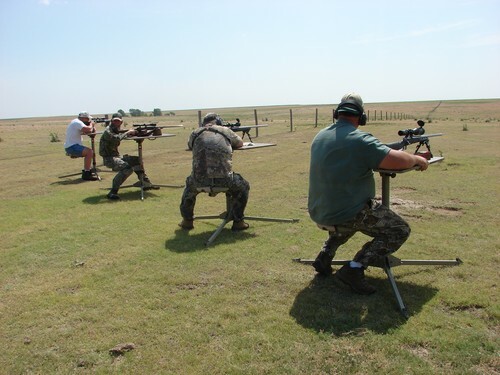 The hunters are stationed at one point and sit either on shooting benches or off of ground. The hunts are fast paced and require lots of ammo! We suggest bringing at least 200 rounds per day for shooting. 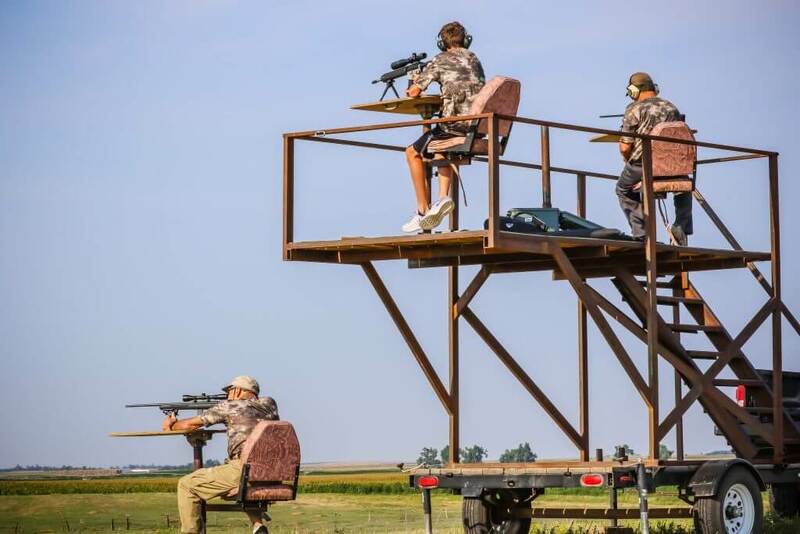 You can practice your hunting skills during the off season. 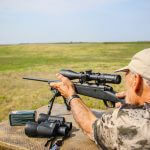 May be combined with other varmint hunts call for combo hunt prices. Prairie dogs can tolerate temperatures as high as 100 degrees. As a result, it is always best to wear loose fitting, fast drying clothing, comfortable shoes and drink lots of water. Prairie dogs eat a variety of plants, grasses, small seeds, fruits, buds, roots and some insects. Some of the best opportunities to shoot prairie dogs occur while they are feeding early in the morning and late in the afternoon. Don’t hesitate, shoot! 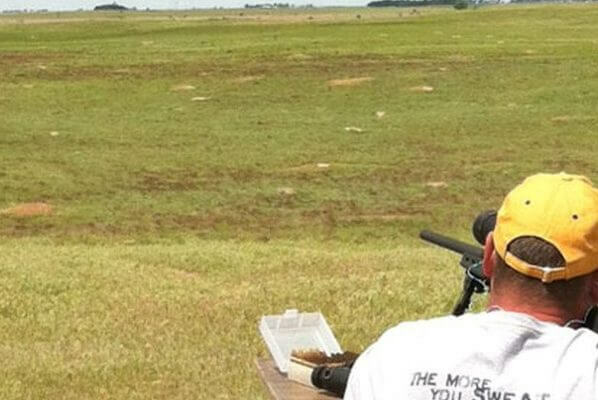 You have to shoot prairie dogs when you see them and while they are out of their burrow or wait until they come out again. Prairie dog burrows have multiple entrances and their burrows can be up to 10 feet deep. Don’t get too close! Prairie dogs have color vision, see over long distances and alert others when danger is near. We recommend scopes with a power of 6x24x50 or greater. Prairie dogs are most active during the day and almost never come out of their burrows at night. As a result, hunting prairie dogs at night is essentially a waste of time. Most importantly, be safe when you are hunting and help others around you to be safe as well. The number one item is good binoculars. Range finders are very helpful if you have hard time judging distance. Comfortable and steady rest for your rifle. Light breathable clothing long sleeves and pants, sun burns are no fun. Good hats that breath well and provides good shade. 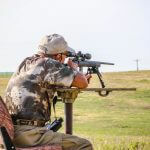 Because we are centrally located and just outside of Dodge City, KS you will be able to spend less time and money getting here and more time hunting prairie dogs. 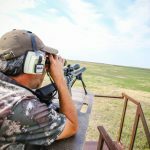 Our prairie dog hunting packages include 3 full days days of shooting, first-class accommodations, three meals per day and many other extras. 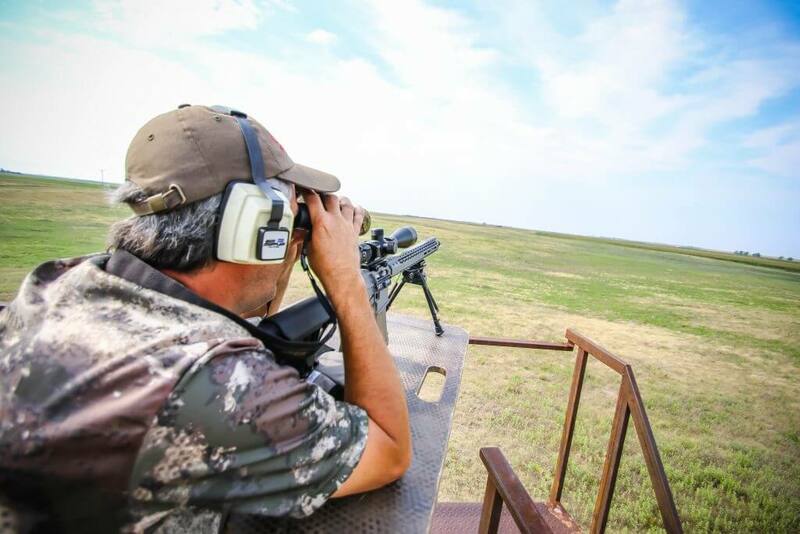 We provide thousands of acres perfect for all day prairie dog hunts. 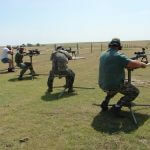 An expert prairie dog hunting guide and shooting spotter can be provided at additional costs. We provide transportation at the ranch. 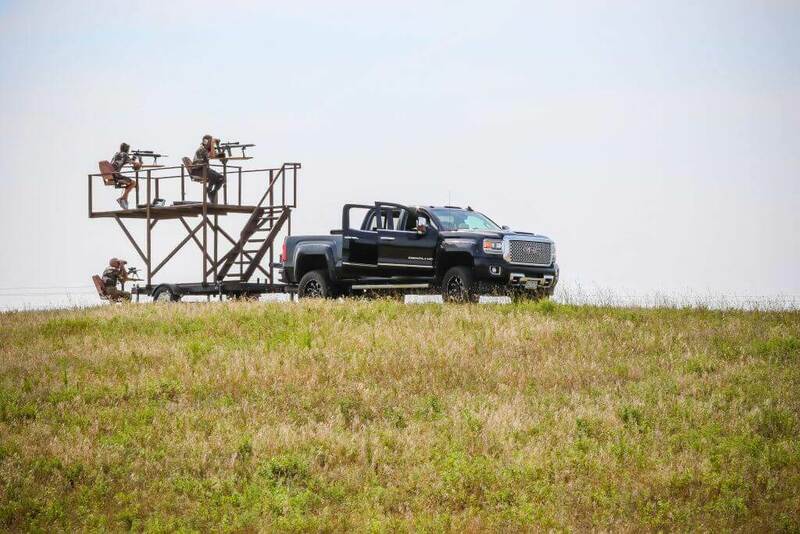 We provide water and Gatorade in the field during your hunt.